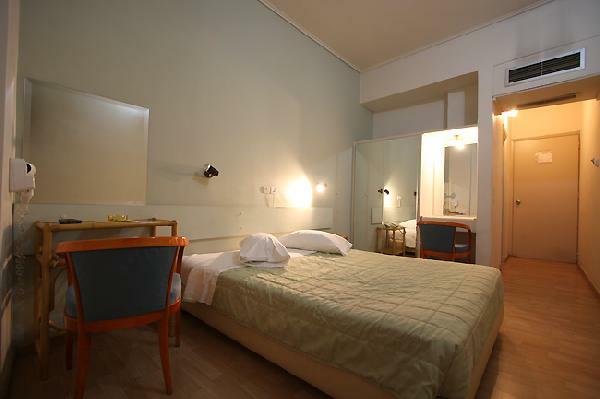 Featuring an elegant decor and comfortable accommodation, this hotel welcomes you for an unforgettable holiday in Athens. Location - Located in the heart of Athens, the Nana Hotel is opposite to the Larissis Station (central train and metro stations). 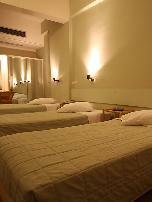 This property is a short walk from the Omonia Square, the old market place and the Archaeological Museum. It offers a free internet terminal and a 24-hour front desk. Rooms - This property offers 50 comfortable air-conditioned guestrooms that are tastefully designed and come with a host of modern amenities like satellite TV. The bathroom includes a hairdryer. Each room has a balcony that offers spectacular views of the surrounding. Restaurant - Start off your day with a delicious breakfast and later taste Greek cuisine as well as snacks at the on-site restaurant. You can also chill out at the cosy bar with an exotic drink after a busy day. The restaurant is open between 7:00 and 23:00. In the morning it serves a buffet continental breakfast. Later in the day, it serves grilled specialties and homemade Greek dishes. General - The hotel’s location offers easy access to city's attractions such as the new museum of Acropolis, Parthenon, Syndagma Square and Plaka. Monastiraki’s traditional market and Omonoia Square are a short walk away. 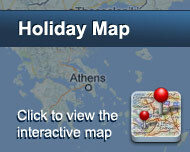 You can visit the such as the , Acropolis, Pireus Port and the Olympic Stadium. Είστε ιδιοκτήτης ή διευθυντής στο NANA; Εγγραφείτε τώρα για δωρεάν εργαλεία, που μπορείτε να χρησιμοποιήσετε για να βελτιώσετε την καταχώρησή σας και να συνδέσετε την ιστοσελίδα σας και το σύστημα κρατήσεών σας.